An American icon becomes extraordinary with the 2018 Jeep Wrangler JK Rubicon Recon. Upgrading its next-level capability is an attention-getting exterior that protects a comfortable interior. 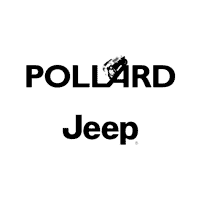 This model is only available in a Limited Edition, so if you’re interested, get over to your Jeep dealer near Denver serving Denver Thornton Boulder Longmont right away. When you visit your dealer near Denver, the one thing that will first stand out on the Rubicon Recon edition of the 2018 Jeep Wrangler JK is the unique exterior. The body lifts by half an inch and shows off black fender flares, a power dome hood, and a tread plate on the premium off-road rock rails. Everyone will know what you’re into with the unique RUBICON RECON EDITION badges mounted on the fenders. The hood is decorated with a reversed RUBICON decal. Personalize this edition even more by opting for the tan-colored Sunrider® soft top instead of the standard black version. You can get closer to nature by removing the top as well as the full metal doors that feature roll-up windows, forged aluminum hinges, and mesh nets for map pockets. Power windows and door locks are available. The LED reflector headlamps come on and off automatically based on external lighting conditions. To cut through misty views, the fog lamps also depend on LED technology. The interior of the Rubicon Recon stands out among the 2018 Jeep Wrangler JK models by having red accent stitching on both the storage nets and the black leather-covered front seats. Heating is built in so you can enjoy warmth on the coldest winter days. Leather around the steering wheel and chrome shift knob adds premium touches. For hot summers, you can set the temperature of the air conditioning just once and it will be automatically maintained to compensate for weather changes. It also contains a humidity sensor and air filtering. The cargo compartment features tie-down loops so you can secure whatever you’re bringing. You can increase your carrying capacity by folding down the rear row in a 60/40 split. Enhancing your musical enjoyment are the eight speakers of the Radio 130 system, which comes with a one-year subscription to SiriusXM® Satellite Radio, so you can enjoy over 150 channels that include commercial-free music and live professional sports. You can control your system using the steering-wheel-mounted audio controls or Uconnect® Voice Command with Bluetooth®. This Jeep edition comes with the 4:1 Rock-Trac® Part-Time 4WD System that comes with Tru-Lok® locking differentials for the front and rear. With the 4:1 low gear ration, you can crawl at a lower speed over rougher terrain to gain more control and more low-end torque for all the wheels. The Dana® 44 front axle is upgraded with heavy-duty forgings and military-grade axle tubes to maximize durability, rigidity, and strength. To guard the more vulnerable parts of the underbody, skid plates made of stamped steel cover the transfer case and fuel tank. This model sports the Trail Rated® badge, which indicates capability in five areas. Ground clearance includes an approach angles of 42.2 degrees, a breakover angle up to 21.2 degrees, and a departure angle of up to 32.5 degrees to make conquering broken trails easier. Water Fording allows you to cross rushing country streams or crowded city streets with up to 30 inches of water. With a 34.6-foot turning capacity in the two-door, you can negotiate tighter spaces while Articulation is enhanced by an available electronic sway-bar disconnect that allows the front wheel to drop by up to 20 percent. The last area is Traction, which is enhanced by Granite Crystal Aluminum Wheels measuring 17 inches and BSW Off-Road Tires. You’ll stop more confidently with the 4-wheel disc brakes that are assisted by a Hydraulic Brake Booster. The 2018 Jeep Wrangler JK Rubicon Recon relies on a 3.6-liter Pentastar® V6 that delivers 285 horsepower and 260 lb.-ft. of torque. This engine gets up to an EPA-estimated 21 MPG on the highway and 17 MPG for two-door models and 21 highway/16 city MPG for four-door models. Providing the convenience of seamless gear changes is the 6-speed manual transmission. However, a 5-speed manual transmission is available for those who want more control. Heavy-duty cast covers protect the front and rear differentials. Hydraulic power steering eases your maneuvers in crowded city lots, wide-open highways, and tight off-road terrain around the Denver area. When you test drive this edition of the 2018 Jeep Wrangler JK in the Denver area at your dealer serving Denver Thornton Boulder Longmont, you may not even notice all the safety features. They begin with Electronic Stability Control that can engage selective braking and control the throttle to prevent the vehicle from diverting from your intended direction. Reducing the potential for wheel lift during sudden maneuvers is Electronic Roll Mitigation. When you start on a slope, Hill Start Assist can momentarily step on the brakes so you have time to move your foot to the accelerator pedal. If anyone tries to use the ignition, liftgate, or doors without your permission, the security alarm flashes the exterior lights and sounds the horn. The best way to find out how the 2018 Jeep Wrangler JK Rubicon Recon rides around the Denver area is to take one for a test drive. Make an appointment for a test drive with a Jeep Dealer near Denver. *Article is for general informational purposes only. For complete details, please contact the dealership serving Denver Thornton Boulder Longmont.